The documentary doesn’t offer any easy solutions — just a realistic look at the problem. I suppose, all things considered, it’s a good thing for an A-list celebrity to take up an important cause. If you must be famous, why not use that fame for something besides big box office numbers? But man, does it also come at a price. No one with a day job wants to be scolded by a millionaire who plays pretend for a living. 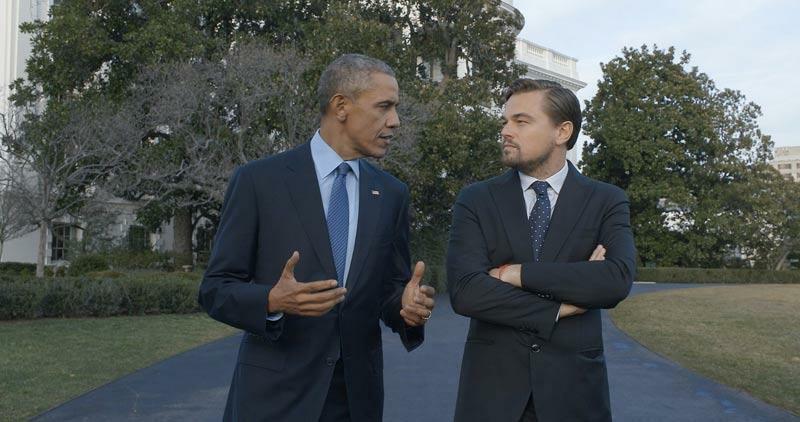 In the opening and closing scenes of Before the Flood, the National Geographic documentary that was recently released for free on Youtube, we watch host Leonardo DiCaprio give a speech to the United Nations on the importance of climate action. DiCaprio — face hairy for his performance in The Revenant, long hair tucked back into a man bun — lectures the leaders of the world in his role as the United Nations Messenger of Peace. Even the most dedicated member of the Sierra Club has to find that at least a little bit obnoxious. But despite kneejerk reactions some might have to actors telling people what’s really important, DiCaprio’s presence in Before the Flood is overwhelmingly an asset. His movie star charisma helps make the film buoyant and entertaining, even when it's explaining depressing facts about the climate crisis. The film is also just plain nice to look at. Director Fisher Stevens treats viewers to several gorgeous shots in the many locations he visited through the three-year long filming of the documentary. The high production values are a stark relief to the cheapskate climate denial film Climate Hustle. Entertainment value is important, especially since Before the Flood seems to have the ambitious goal of surveying the full scope of climate change. The big challenge in climate communication is translating the mind-boggling complexity of the problem for Snapchat-sized attention spans. Climate change has many interlocking dimensions, including scientific, political, economic, entrepreneurial, and even (as we come to learn) religious. Rather than focusing on just one, Before the Flood attempts to cover them all in its hour and a half running time. Leo jet sets, speaking to several experts and leaders who work in all of these dimensions, including Barack Obama, Elon Musk, climatologist Michael Mann, and Pope Francis. The approach of going broad but not deep succeeds in communicating the many factors of the problem. Watching Before The Flood probably won’t give you enough knowledge to discuss the nuances of climate projection calculations or evaluate the merits of various energy subsidies. But it will help you understand how all the puzzle pieces fit together. Before the Flood does say that there are solutions, but acknowledges that they are hard pills to swallow. It promotes two main courses of action: changing how people consume food and fossil fuels and instituting a carbon tax. And it’s honest about the obstacles blocking both of them. To talk consumption, Leo learns about the importance of diet. Cutting down on beef, even if you replace it with chicken, is a more effective way to reduce your carbon footprint than changing your lightbulbs. When he jets off to India, he learns about the economic challenges that country faces that make avoiding fossil fuels almost impossible. The country has 300 million people without electricity, and an abundance of unused coal reserves. It’s unrealistic to expect the country to not use these carbon-emitting fuels for their own economic development. To learn about the carbon tax, Leo talks to Gregory Mankiw, Professor of Economics at Harvard University. Mankiw explains that a tax on carbon emissions can help push both business and consumers toward using renewable energy. When asked why a carbon tax was never put in place, even though Mankiw served as an environmental advisor to George W. Bush, he’s realistic about how much power academics wield. “Politicians don’t always do what professors want them to do,” he says. Before the Flood is at its most effective when the film shows people coping with the real-world impacts of climate change. 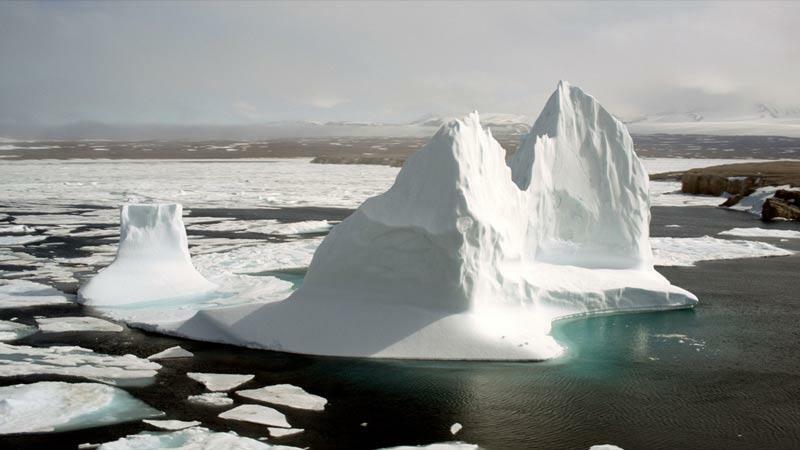 Leo travels to Baffin Island in the Canadian Arctic to see the impacts of polar melt. There, he hears a local explain how the hard blue ice that covered the region turned into white melting slush. He speaks with the mayor of Miami Beach, Florida about the city’s efforts to combat rising sea levels. Miami Beach is installing water pumps and raising roads in order to stop the ever-rising tide from flooding the streets. These striking scenes reinforce that climate change isn’t some speculative problem our children will have to face. Its impacts are real, and they’re being dealt with right now. The core message of Before the Flood isn’t “rah-rah, we’re going to save the planet.” Instead, it’s this: if we start making some changes now, maybe we won’t have to experience the worst impacts of climate change. The film takes a hard look at both the seriousness and the challenges of protecting Earth. But it still remains hopeful that we have the power and the will save our home. Before the credits, viewers are urged to rethink how they consume and to insist that their political representatives take action. Hopelessness, after all, is a luxury you can’t afford when the stakes are so high. "Before the Flood has the ambitious goal of surveying the full scope of climate change." A route planner comes in handy when you have a large list of stops.